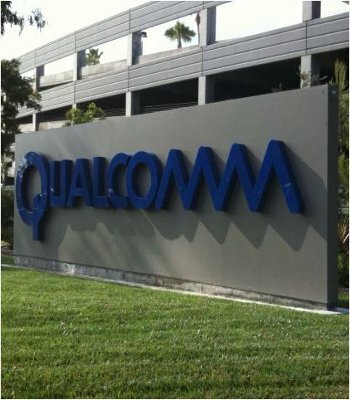 Qualcomm's Snapdragon processors are typically found in phones and tablets, but during an investor meeting in New York yesterday, the company announced plans to launch Snapdragon processors into the PC market within the next 12 months. CEO Paul Jacobs said he forecasts most of the new Windows 8 products will arrive after the fiscal year in 2012, which happens to be September. "We're going to see some interesting stuff going on," he said, further commenting that Windows 8 and ARM is a huge opportunity for growth for the San Diego-based telecommunications company. While Intel is almost certainly safe for the forseeable future when it comes to desktop processor performance, the Snapdragon CPUs will give the lower end of Intel's and AMD's products a run for their money considering the energy efficiency, which combined with its always connected and integrated cellular radios could really prove a hit on netbooks, ultra portables and tablets running Windows 8. Microsoft had previously commented that its next generation operating system would work natively with ARM based architecture, choosing Qualcomm, Texas Instruments and Nvidia as initial chip partners for the Windows 8 rollout. The software giant has already shown a S4 series Snapdragon powered tablet running Windows 8. Snapdragon powered computers will not be able to run older versions of Windows however, and concerns have been raised regarding compatibility due to the vast amount of software written for the x86 archecture that will not work with ARM-based CPUs. Qualcomm's COO Steve Mollenkopf does not see this as an issue, as most of the key applications will be re-written for ARM-based hardware and with the cloud becoming increasingly popular users will likely have the option to run applications through a browser. "For the apps that you really care about, I don't see it as a significant growth inhibitor in terms of ARM vs. Windows," he said. "I don't think the impact is as significant as what others believe." One of Qualcomm's upcoming Snapdragon processors, the 2.5GHz quad-core APQ8064, might make an appearance in HTC's next-generation flagship smartphone the HTC Zeta if recent rumors hold true.